South Africa may face a potential water crisis if global warming continues on its current trajectory, and even more so when combined with poor water management and uncontrolled development near the country's strategic water source areas. CSIR research focuses on the identification and protection of these areas. Access to clean water is a basic human right, but it is also the life source of South Africa’s economy. The recent and continuing droughts in the region have sensitised all sections of society to the potential water crisis the country might face if global warming continues on its current trajectory, combined with poor water management and uncontrolled development near the country’s strategic water source areas. The identification and protection of these areas has been an important research focus at the CSIR. “Strategic water source areas can be described as the country’s most important water sources, because they supply a disproportionately high amount of the country’s water in relation to their size. 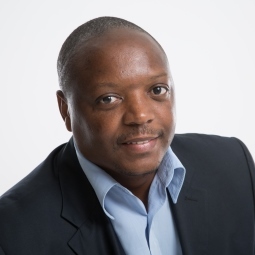 Changes in the quantity and quality of the water produced by these areas can have adverse effects on economic growth and development in the regions that they support,” says Dr David le Maitre, an ecologist and hydrologist at the CSIR. “This is why South Africa needs co-ordinated, inter-departmental interventions by government with all sectors of society on board to protect these catchment areas. “In the first phase of the CSIR’s water source research project, scientists used hydrological and run-off data to map the areas that produced most of the country’s surface water, for example water in streams, rivers and wetlands. It was found that the surface strategic water source areas make up only 8% of South Africa’s land area, yet they provide 50% of our water. Only 18% of these areas receive some form of formal protection so we need to look closely at what we do, and plan to do, in these areas to ensure we maintain and increase the benefits they provide. The project produced a report aimed at the general public. Subsequent work has shown that the water produced by these areas supports at least 50% of the population, 64% of the economy and about 70% of the irrigated agriculture. 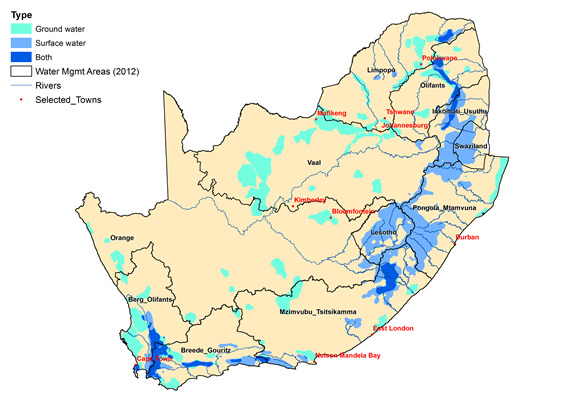 Gauteng gets about 65% of its water from these areas, and Cape Town and eThekwini about 98%. The researchers have compiled a draft technical report which is currently being reviewed by members of the project reference group which includes scientific experts, senior planners and policy makers within government departments. The project will produce a technical report; water and land management guidelines for government officials, industries and land owners located within these areas; and a report aimed at the general public similar to the report produced in 2013. These reports will be released later this year. “There has already been some impact through the WRC project. The South African National Biodiversity Institute is interested in focusing its ecological infrastructure initiatives on the identified strategic water source areas. “The World Wide Fund for Nature has also sub-contracted the Centre for Environmental Rights to do a review of the legislation that could be used to protect these areas, for example the Water Act, the National Environmental Act and the latter’s derived Acts, such as the Biodiversity Act.